Inspired by the bountiful harvests of peanuts grown on her father’s farm, Dot Hubbard developed a unique recipe that has since become the hallmark for quality peanuts served throughout the world. The family tradition of using all natural ingredients and peanuts from the top one percent of the crop continues. 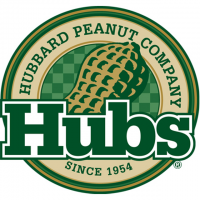 The result is a wholesome, healthful product with superior taste and crunch… home cooked goodness known as Hubs.